Now From $ 2,718 AUDSale! 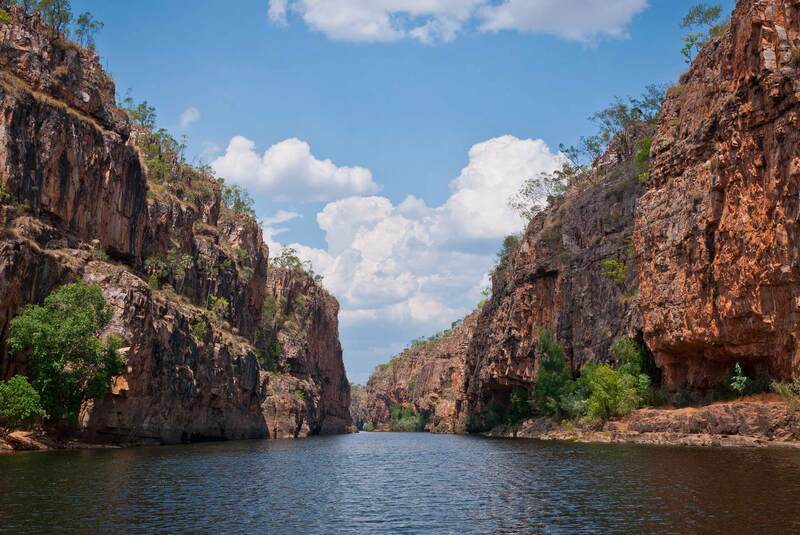 Embark on a Northern Territory adventure from Darwin to Alice Springs, taking in the region’s biggest and best draws along the way. Witness Uluru during a stunning sunrise, wander through the majestic canyons of Kata Tjuta and admire the views from Kings Canyon. 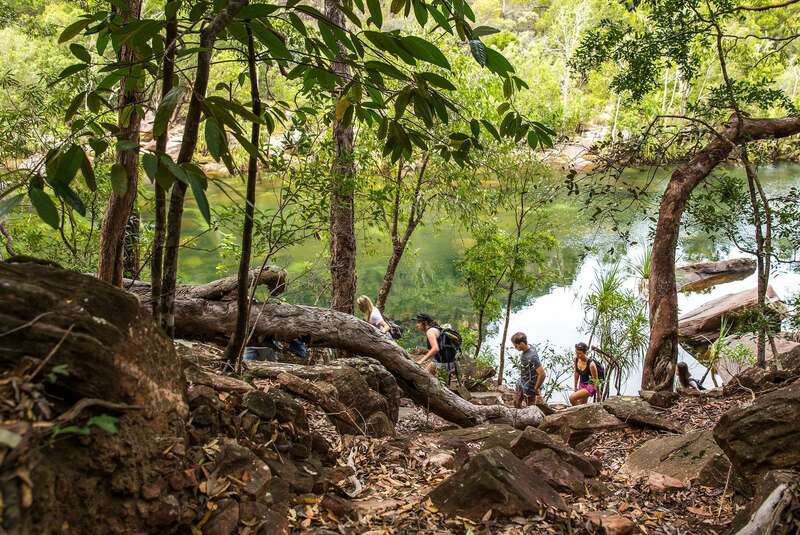 Enjoy exclusive access to Arnhem Land and get a taste of the tropics in Kakadu and Litchfield National Parks, as well as Katherine Gorge. A region of exceptional landscapes and intriguing cultural attractions, this tail-to-top adventure through the Territory is a trip that will leave you with a profound appreciation of Australia’s raw and rugged natural beauty. ABORIGINAL AND TORRES STRAIT ISLANDER CULTURAL EXPERIENCES & COMMUNITIES: Please note due to cultural sensitivities, entry to particular parts of local First Nations communities may be unavailable. Where Aboriginal and Torres Strait Islander guides are unavailable in the Red Centre an Intrepid guide will lead the interpretive cultural walk. 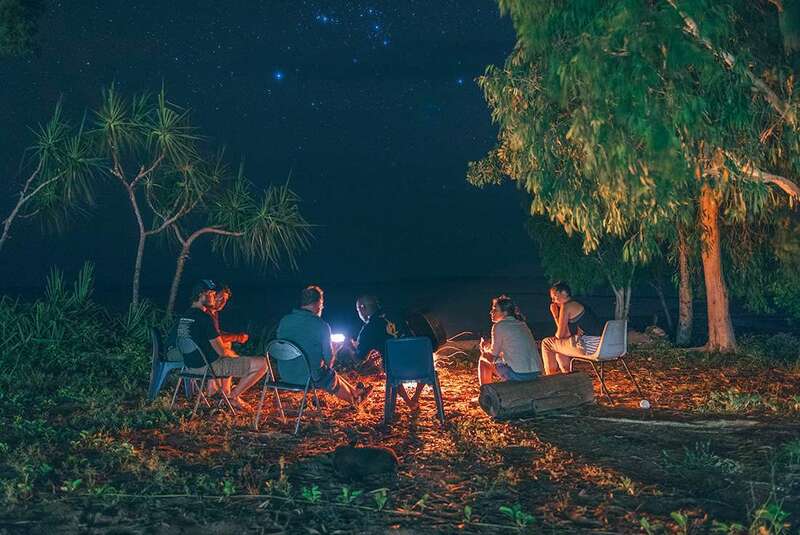 Top End cultural experiences are only available during the dry season (May-Oct) as site is subject to flooding (contact our customer service team for availability). Participants may be absent due to cultural commitments with minimal prior notification and Intrepid reserves the right to amend the itinerary in these circumstances with no obligation to refund. 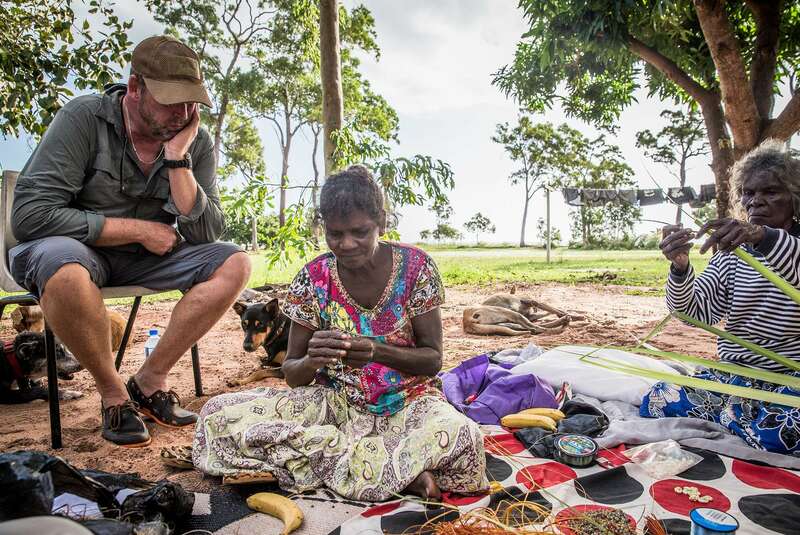 The relationship between ATA and Intrepid Australia For over 25 years, Intrepid Travel and Adventure Tours Australia have been leading brands in the adventure travel business. With Intrepid’s global product range and Adventure Tours’ local knowledge, the two brands joined force in 2011 to provide the ultimate range of Australian product with Intrepid running all of it’s local trips under the Adventure Tours Australia name. Today we’re proud to bring Aussie-made trips to the world, both here with Adventure Tours and overseas through the Intrepid brand, so no matter which brand you have booked through, you’re travelling with the best. ITINERARY CHANGES: Our itineraries are updated regularly throughout the year based on customer feedback and to reflect the current situation in each destination. The information included in this Essential Trip Information may therefore differ from when you first booked your trip. It is important that you print and review a final copy prior to travel so that you have the latest updates. Due to weather, local conditions, transport schedules, public holidays or other factors, further changes may be necessary to your itinerary once in country. The order and timing of included activities in each location may also vary seasonally to ensure our travellers have the best experience. Your tour leader will keep you up to date with any changes once on tour. 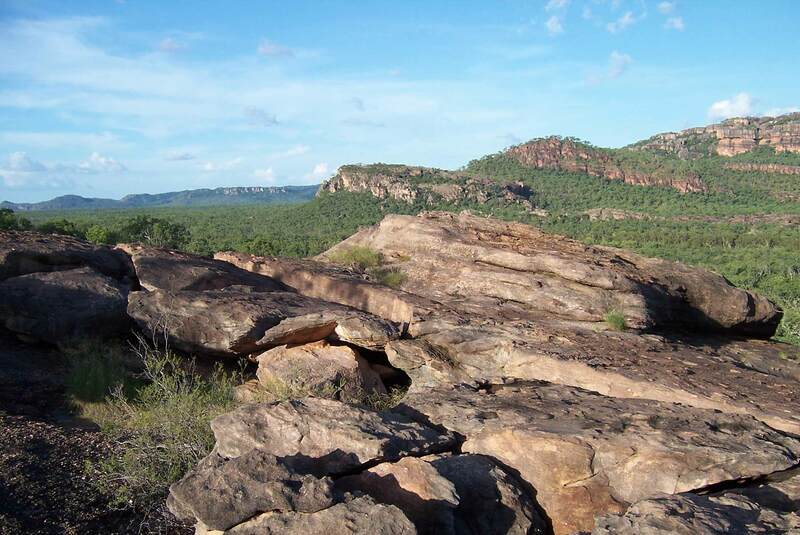 WET SEASON ITINERARY A tropical summer itinerary applies in Kakadu Nov/Dec-May. Itineraries may vary and/or attractions be substituted for any cause including seasonal conditions (including the opening and closing of Twin and Jim Jim Falls and other natural attractions), weather extremes, traditional owner and national park requirements. Itineraries may vary and/or attractions be substituted for any cause including seasonal conditions, weather extremes, and traditional owner/national park requirements. Note that the opening dates of waterfalls (including Jim Jim Falls) and attractions vary each year and can change on a daily basis in the wet and shoulder seasons. Visit this website to see live updates on which areas of the park will be open: http://kakaduroadreport.wordpress.com/ or contact our Reservations team. Due to National Park rules and road laws, we cannot guarantee the opening of Jim Jim Falls and other attractions at any time. Alternative activities will be substituted at the tour guides’ discretion, dependent on local conditions. 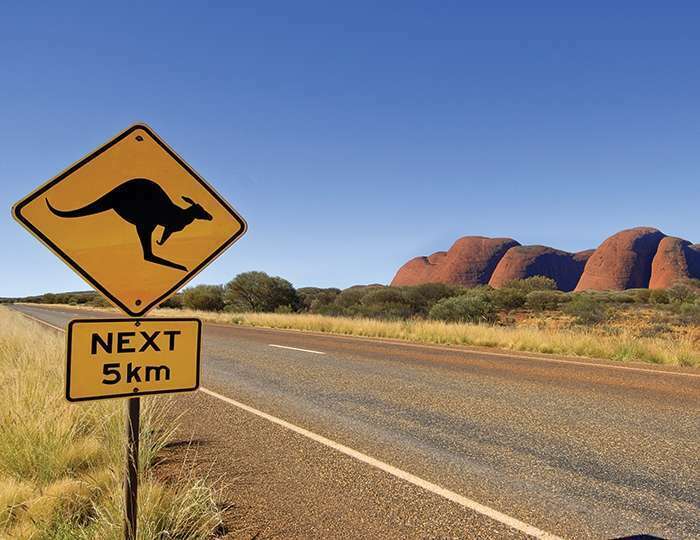 Today, skip the 1,500km of driving which is about 24 hours by road, and fly from Darwin to Alice Springs with Qantas (QF). Qantas is Australia's first commercial airline and is now recognised as one of the world’s best International airlines. We'll arrange your air tickets and issue them a couple of weeks prior to your departure. Please note this day is not escorted by your guide On arrival in Alice springs please look for your transfer vehicle (operated by Alice Wanderer - green and yellow bus) to transfer you into Alice Springs. The rest of the day is free to explore. 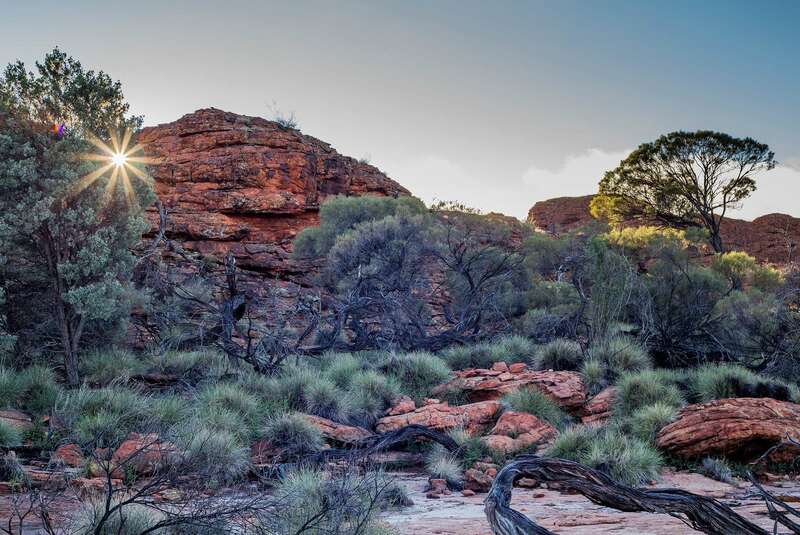 After breakfast, get your hiking shoes back on and head out to explore the impressive formations of Kings Canyon. You’ll be left breathless by the sheer beauty of the canyon, as you trek through the Amphitheatre, the Lost City, the lush and ancient Garden of Eden and the North and South Walls. Lunch is a welcome prospect, before you make your way back to Alice Springs, arriving around 6pm this evening. Maybe head out for an optional final dinner with your group this evening in Alice. Note: Total driving time approx. five hours. Total walking time is approx three hours.